The Holidays are just around the corner – that means celebrating with friends, family and, of course, a lot of great food. At Christmas and Thanksgiving, our family celebrations always include generous portions of turkey, ham, stuffing, all the sides….and more desserts than we can eat. We’re spoiled. However, don’t be fooled by this often over-looked leftover. 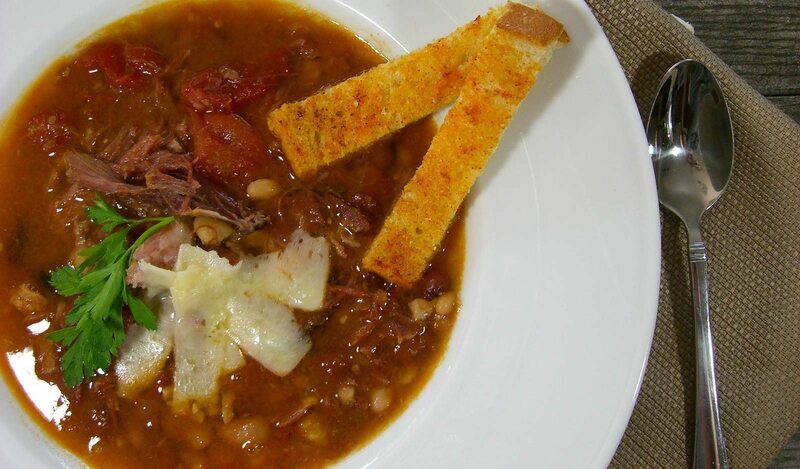 While most of the easier-to-cut meat is gone, the remainder of the hambone is an excellent and necessary ingredient for ham and bean soup. Also, you will be surprised at how much meat falls off the bone after it is simmered for a few hours. A few years ago we discovered this recipe for Honeybaked Ham Bone Soup Mix which is sold at the Honeybaked Ham Company (www.honeybaked.com). 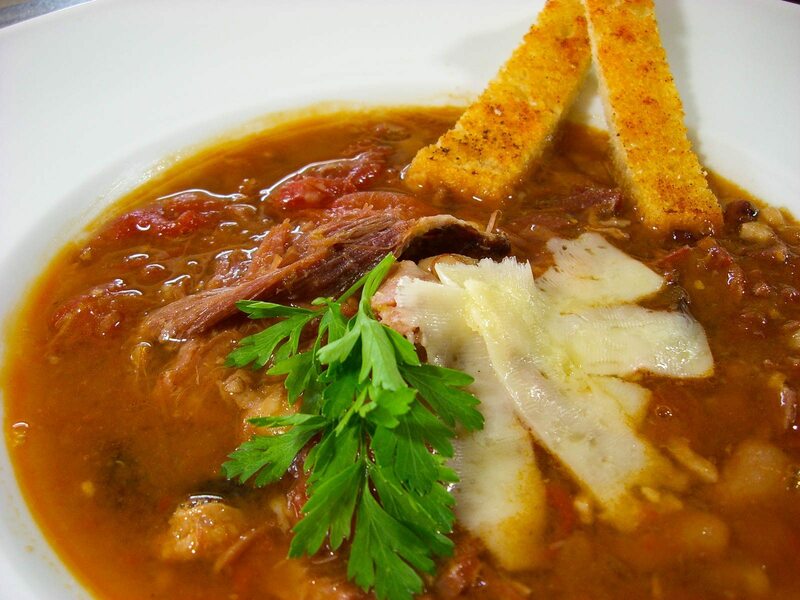 The soup takes about 3 hours to cook but, with this recipe, you can transform an ordinary leftover hambone (4 lbs) into a delicious meal for 10 – 12 people. Also, for the record, we have no affiliation with or compensation from this company….. we’re simply fans of this tasty Ham Bone Soup…..or as we prefer to call it: Ham and Bean Soup. As a slight recommendation, puree the onion and celery instead of chopping. Also, to complement the soup, add a touch of white cheddar and sourdough crostini’s to provide a creamy and crunchy texture. Enjoy! Check out our blog for more great recipes and videos! Thank you for you comment! The mix needs to be purchased from HoneyBaked Ham directly. I liked the HBH mixed bean soup mix, but the one I used and liked had ketchup in it. Do you know about this and when I buy the mix from HBH how do I alter it to their previous recipe? Thanks for the comment but we are not familiar with the soup with ketchup in it. My only guess on how to modify would be to use less whole tomatoes (mix suggests 28 oz can whole tomtaoes) and use a cup of ketchup….or just keep the tomatoes and add the ketchup? Let us know how it turns out for you!